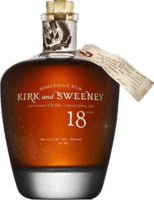 Great Sipping Rum, But Pricey in US My Favorite Rum from Puerto Rico. Great sipping rum. A bargain in Puerto Rico, but pricey in PA.
One of My Favorite Black Spiced Rums Great on the rocks. Good taste but, a little over powering so should only be sipped occasionally. Good, Pleasant Taste but try the 7-year for the Value We purchased this in the Cancun duty free last year. I enjoy sipping aged rums for their complexity and am a fan of aged "Anejos" (redundant I know). Local Distilleries Crafting Quality Rums Appears that we need to watch for local distillers for the are crafting some quality beverages. This is the second Pennsylvania rum I have enjoyed. Son of Gran Anejo, Great Value Don Q Gran Anejo (DQGA) is one of my top rums ever. Don Q Anejo (son of DQGA) has a similar “Anejo” taste but is clearly less “anejo”, that is, aged. Good, but There are so Many Other Finer Choices I really like this rum but there are so many other choices that are finer (more aged) taste; Foursqaure/RL Seale come to mind. Sippable at a Decent Price Nice light spice above good rum/alcohol taste. Decent price. Unfortunately there are better tasting/quality rums at the same price point. Clean and Best Cold Will satisfy in a pinch and best on the rocks. Clean flavor for those who want non-flavored rum taste. Great On Vacation Readily available at all-inclusives in Mexico. Great on the rocks. One of the only decent Bacardi's which I think is an over hyped brand. Good Rum, Great Price if Purchased in Duty Free Purchased in Duty Free when there was a promotion. Good sipping rum on the rocks. Agree with many comments about the taste. Ok, But Over Priced Not over spiced with a taste of vanilla like many reviewers have stated. Not a bad sipping rum (on the rocks) but pricey on a beer budget. Great Dark Flavor, Good Value Great dark flavor, better than the Kraken but not as good as Goslings. Although anyone on a budget should choose Jonahs Curse over either two. Good but Light On the rocks this rum is light. To be fair, I need to try more before saying that this brand is over-rated like Captain Morgan. No Richness,not Impressed Had this on the rocks. Mild flavor but no richness. Not bad but not a good value and there are plenty of better sipping rums as a much better price. Good Flavor, Other Choices Better Value. Deep, rich, aged flavor but there are excellent alternatives at same price or a few dollars more. Avoid All Rums With Capitan/Captain in It's Name Nothing about this is "anejo" because any other flavor is overpowered by cherry. No Thanks I have tasted a lot of spiced rums and there are much better alternatives. Bacardi, for the most part, is an over hyped brand. Over Hyped, Over Priced Much better alternatives. Don't shop by a brand. If you do, you are missing some good stuff at a better price. 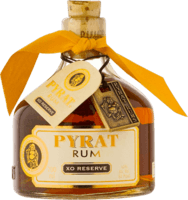 Pretty Good, But Have Become a Rum Snob…Sorry! Pretty Good for sipping on the rocks in the summer but I have, admittedly, become a rum snob so have moved on…Sorry! Tasty and Great Value Not a bad rum, especially for the price. Strong alcohol (but not "rum") taste. A little sweet. Light on Taste Light, almost tastes like watered down vodka. No rum taste when tried on the rocks.